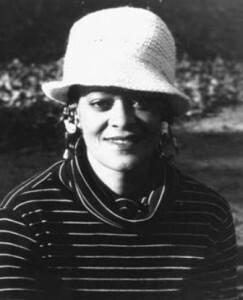 As a writer, feminist, and filmmaker, I feel a kindred spirit with Sister Toni Cade Bambara. Sister Toni wrote stories about beautifully flawed, seemingly insignificant, everyday black people who live in communities rich in wisdom and culture. The brilliance of her work rests in the commitment to maintain the humanity of the poor and the oppressed as she and her characters attempt to keep head above water in a place that could kill your spirit if you let it. Using her favored writing tradition, the short story, I submit one of my short unproduced screenplays entitled Stroller to pay homage to She who could see visible and invisible realities of being black, woman, and poor. The way we use material culture speaks truth to the way we order our lives. 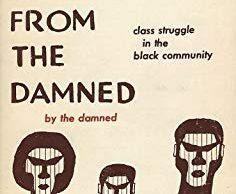 So when I think about telling stories about black communities, I look to the stuff that people carry around with them, the clothes they wrap themselves in, and the permanent fixtures like corner stores, train tracks and apartment buildings to serve up the heartbeat of the community. Stroller, a short screenplay reminiscent of the Vittorio De Sica’s 1948 Italian neo-realist film The Bicycle Thief, is a visual snapshot of the power of cultural memory to combat the socioeconomic conditions of black working mothers living in poverty. Editors’ Note: Stroller is a copyrighted and registered script. The script should not be produced nor reproduced without written consent from Roxana Walker-Canton. NATALIE, a 10-year old African American girl, hums a song as she walks home from school. Every now and then, she looks behind her making sure no one is following her. She passes by a YOUNG MOTHER holding her BABY GIRL in one hand and holding the hand of her THREE-YEAR-OLD SON and two grocery bags in the other hand. A GROUP OF GIRLS walk in front of Natalie giggling as A GROUP OF BOYS across the street laugh and hit one another. JAROD, the loudest of the boys screams out to Natalie. +++++++++++Natalie, Ahmed wanna get with you! AHMED runs after Jarod while the other boys laugh. Natalie smiles to herself. The group of girls in front of her turn around laughing. Natalie stops smiling. RACHELLE, the ring-leader, looks at Natalie. +++++++++++day. You is cute when you fix yourself up. Natalie smiles at Rachelle and walks past the girls. Jarod screams out again. +++++++++++when the lights go out! Natalie goes into the corner store to wait for the kids to pass. Natalie passes A YOUNG GRANDMOTHER holding her GRANDSON’S hand as she gets her money together to buy her lottery ticket. Her Grandson reaches for his grandmother to pick him up. Her grandson starts crying. She looks at Natalie. Natalie picks up Grandson and rests him on her hip as she waits for Young Grandmother to finish. Grandson smiles at Natalie. The CASHIER’S hand reaches out from behind the plexiglass protection separating the him from the customers and hands her the lottery tickets. Natalie puts Grandson down and he starts crying. +++++++++++I know Little Man. You tired. Young Grandmother lifts up her Grandson and carries him out the store. Natalie walks down the candy aisle and spots her favorite Twistlers. She runs her hand across the red and black packaging. She looks toward the plexiglass cashier to see another CUSTOMER ringing out. Natalie quickly shoves the candy in her pocket and walks toward the window to see if the kids had left. She stands for a moment watching them walk farther down the street before returning to the candy aisle where her returns the candy. Natalie jogs the rest of the way home still looking behind her every now and then to make sure that no one is following her. When she gets to the apartment building with a beautiful mural painted on the side and quick graffiti letters on the front, she quickly enters the front door. Natalie climbs two flights of steps before coming to her door. She take out the key from under her shirt and quickly unlocks the door and slams it shut. We hear her lock and dead bolt the door. Natalie leans her back against the door and then slowly turns to look out the peephole. She looks left. It’s empty. She looks right. An OLDER MAN looks toward Natalie’s apartment as if he can see her looking through the peep hold. He smiles. The Older Man takes a pack of Twistler candy from his pocket and holds it toward Natalie who is dressed in nice fashionable hip-hop slightly revealing clothes. Natalie smiles as she walks toward the man. When she extends her hand for the candy, he grabs her arm. Natalie watches through the peephole as the door behind Older Man opens and a YOUNG TEENAGE GIRL lets him in. Natalie turns away shaking her head. Finally letting down her defense, Natalie removes her backpack. The apartment is very clean and neat. Sparsely furnished—a worn couch, a fish tank, a kitchen table, a television, and one other chair. She washes her hands in the kitchen sink and pours a glass of Kool-Aid. She sits down by the phone waiting. The phone rings but she doesn’t answer it. It rings three times and then stops. Natalie continues drinking the red drink. The phone rings again and she answers it quickly on the first ring. LESLIE, Natalie’s mother, smiles. Behind her is a long hallway with ELDERLY people in wheelchairs and walkers and NURSE’S AIDES moving about. Leslie takes a bite of her sandwich and watches PAT, another nurse’s aide, help a PATIENT down the hall. Leslie looks at the clock. +++++++++++Have you started your homework? Natalie sets her book bag on the kitchen table. +++++++++++Everybody liked my new clothes. She smiles and looks down at her clothes. MARY, Leslie’s boss, sticks her head in the break room. Leslie looks at the clock. +++++++++++Good. We really need you. +++++++++++the door at all. Love you. +++++++++++Okay. I love you too. Natalie hangs up the phone and goes to her mother’s room where a big jar sits on the bed next to stacks of coins lined up on top of two books. Natalie turns on the TV and sits down counting out dimes making new stacks. Leslie and Pat lift MISS HANNA, a white elderly patient, into her bed. +++++++++++I sure am glad today is payday. +++++++++++Who’s this new girl? She’s quiet. +++++++++++been here a couple of weeks now. Pat looks at Leslie to speak. Leslie gets the cue. +++++++++++Nice to meet you Miss Hanna. Pat looks at Leslie to speak. Leslie get the cue. Miss Hanna looks at Leslie and smiles. Leslie obliges. Pat leaves the room. +++++++++++So whereabouts are you from? Miss Hanna shows Lest a great American Dream picture of her daughter and family. Leslie smiles. She continues rubbing lotion on Miss Hanna’s legs as she falls asleep. Leslie pulls a light blanket over her and leaves the room. She peers at the clock. Pat is already gathering her things. Leslie gathers her things as ROSALINDA and VALERIE, the nurse’s aides for the next shift come into the office. Rosalinda kisses Leslie on the cheek. +++++++++++glad. She’s a good worker. Mary comes in and hands Leslie and Pat their paychecks. +++++++++++It’s all spent already, ain’t it? +++++++++++Yeah, but I ain’t complainin. +++++++++++see you all on Monday. +++++++++++Don’t spend it all in one place. +++++++++++You have such a pretty face. +++++++++++She is so polite. I like that. Leslie walks to the bus stop with a couple of bags from the drugstore and takes a seat next to NURSE’S AIDE WOMAN holding an ALMOST WALKING BABY and HOTEL HOUSEKEEPER WOMAN holding a CRYING BABY surrounded by grocery bags, baby bags and other shopping bags. THREE TODDLERS stand nearby eating candy. A FAST FOOD WORKER WOMAN approaches carrying her LAUGHING BABY, baby bag and shopping bags. 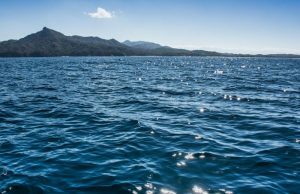 Upon seeing her struggle, Leslie offers her her sea. They all wear their uniforms because they are getting off from work or going to work. Leslie smiles. A BUSINESS WOMAN carrying a purse and briefcase walks by strolling her STROLLER BABY in a carriage while talking on the phone. She stops a short distance from the women at the bus top. Leslie watches as Business Woman places her briefcase in the bottom storage area of the stroller and continues on walking with nothing to weigh her down. The woman crosses the street and the bus pulls up obstructing Leslie’s view of the woman. The worker women struggle to get all of their babies and bags loaded on the bus. Natalie has wrapped about twenty dollars of coins. She sits on her mother’s bed writing her spelling words and watching a talk show. The telephone rings three times. Natalie lets it ring. She goes into the kitchen. The phone stops ringing. She waits. It rings three times again and stops ringing. When it rings again, she picks it up and puts it on speakerphone. We hear the door unlocking and Natalie looks out the peep hole. Leslie enters the apartment with SYDNEY, Leslie’s six month old daughter. Natalie takes the diaper bag and her mother’s purse to the couch. Leslie puts Sydney down on the couch and sits. Tired. Natalie picks Sydney up and plays with her. Leslie stands to stretch her back. +++++++++++you count up the money? +++++++++++long as it isn’t pink. +++++++++++I don’t like pink anyway. Natalie takes Sydney into the room. Someone knocks on the door. Leslie looks out the peephole, steps back smoothing her her, and opens the door for Winston. They embrace and kiss. +++++++++++Hey baby. How was your day? +++++++++++All good. Today was payday. +++++++++++You look good. You smell good too. +++++++++++Ain’t nothing wrong with tryin. Leslie plops down on the couch and scratches her head. Winston is embarrassed. He puts his hands in his pocket. +++++++++++the stroller. I’ll get the money. Winston and Leslie stare at one another. Natalie comes in the room with Sydney. Natalie gives Sydney to her mother and gives Winston a hug. +++++++++++Hey, what’s that in the tank? Natalie looks at the tank while Winston takes out a pack of Twistler from his pocket to Natalie’s surprise. +++++++++++Well, I have to go. +++++++++++I can’t this time. I’ll see you. Winston kisses Leslie on the forehead. +++++++++++Okay ladies, let’s get the L.
Leslie holds Sydney on her lap and Natalie sits at her side. PEOPLE get on and off the train. Leslie and the girls get off at their stop. Leslie carries Sydney in one hand and holds Natalie’s hand with the other hand and they go into the bank. Leslie sits Natalie in a chair with Sydney on her lap and goes to the TELLER. +++++++++++exchange these coins for bills. Leslie unloads the forty eight dollars worth of wrapped coins on the counter and the Teller exchanges them for bills. +++++++++++Thank you. Have a nice day. They wait on the bus. When it comes they board the bus. Leslie holds Sydney on her lap and Natalie sits at her side. They watch people get on and off the bus before they get off. They wait for the second bus. Natalie sits in her own seat in front of her mother and looks out the window. Mostly WHITE PEOPLE get on and off the bus now. The bus rides through a neighborhood of single family homes. A BLACK WOMAN with TWO WHITE CHILDREN get on the bus. Natalie stares at the children. Leslie holds Sydney in one hand and holds Natalie’s hand with the other as they cross a busy intersection to get to the baby store. They enter the huge store full of baby items. Most of the CUSTOMERS in the store are white along with the CASHIERS. +++++++++++That’s a long time from now. +++++++++++You have to go to college first. +++++++++++And you need to be married first. Natalie stops and looks at her mother. Leslie nods her head. +++++++++++all of my baby’s stuff from here. Leslie looks at all of the rows of items. +++++++++++Yeah. One day you’ll be able to. +++++++++++Hi. Can I help you find something? +++++++++++And are you a good big sister? +++++++++++be there to assist you. Leslie and Natalie try strolling Sydney in numerous strollers. Leslie reads the descriptions. MELISSA walks over. +++++++++++I like the green one. +++++++++++Can you assemble this for me. Leslie hands the money to the CASHIER and the wait up front until Melissa rolls out the assembled stroller. Leslie gets Sydney strapped in, and they leave the store. +++++++++++I’m glad we saved all that money. Leslie and Natalie get on the bus headed to the bookstore. Leslie parks the stroller with the other strollers in the stroller parking area. They browse the bookshelves. Natalie chooses a book and sits down to read by herself. Leslie walks down the aisles stopping to read the backs of a few books. Everyone in the store is white. Finally, they sit in the cafe to share a cup a tea and a pastry. +++++++++++Nine dollars and ninety-five cents. Leslie sips the tea watching WHITE WOMEN with their babies. +++++++++++We need to get going. Leslie gathers their things while Natalie puts the book back. Leslie walks over to the stroller parking area. No strollers are in the space. Leslie looks around. She panics and goes over to the Cashier. +++++++++++stroller isn’t in the parking. +++++++++++Are you sure you left it there? +++++++++++Let me get the manager. +++++++++++It’s gone? Who took our stroller? +++++++++++Someone has taken my stroller. +++++++++++Sometimes people mix up strollers. +++++++++++then one would be left, right? +++++++++++Have you looked around the store? +++++++++++Maybe you forgot to park it. Leslie, carrying Sydney, with Natalie not far behind, walks throughout the store looking for the stroller. The Manager and the Cashier look at one another and follow behind them. Finally Leslie sits on a bench. +++++++++++up. I’m sure. I’m sorry. +++++++++++Yes, we are really sorry. +++++++++++Can you replace my baby’s stroller? Leslie looks the manager in the eye. The manager walks away. Natalie watches her mother. Leslie looks at Natalie and smiles. Leslie carries Sydney and holds Natalie’s hand heading toward the door. Leslie spots a pink stroller parked in the stroller parking area. As she continues walking, she looks around to see if anyone is looking at her. She exits the store. Once outside, Leslie reaches in her pocket and takes out two dollars. +++++++++++I have two dollars for my girl. Natalie smiles and takes the money. Natalie goes to the ice cream store while Leslie goes back into the bookstore. Leslie goes to the stroller parking area where the pink stroller remains. No one is around. She looks around and then places Sydney in the stroller. She rolls the stroller backwards a couple of feet and then stops. She looks around before unstrapping Sydney and leaving the store. Outside she leans against the building and sighs. Leslie, carrying Sydney, goes to get Natalie who has bought a big ice cream cone. The walk down the street and board the bus. They look out the window watching MOTHERS walking and jogging with their babies in their strollers. Leslie joins the line and they tie Sydney to her back. Leslie, with Sydney tied to her back, holds Natalie’s hand as the walk up the stairs to get the train. Roxana Walker-Canton is an award-winning independent documentary-maker and video installation artist. She earned her B.A. from Spelman College in Atlanta, GA, an M.A./M.F.A. in Black Studies and English/Creative Writing from The Ohio State University in Columbus, OH, and an M.F.A. in Film and Media Arts from Temple University in Philadelphia, PA. She is the director of The Living Thinkers Project, and served as the producer/director/co-editor of Living Thinkers: An Autobiography of Black Women in the Ivory Tower, the documentary, distributed by Women Make Movies, which won the Audience Choice Award for Documentary at the 2013 BlackStar Film Festival in Philadelphia and was a finalist for the HBO Award for Documentary at the 2013 Martha’s Vineyard African American Film Festival. She installed Living Thinkers—Harriet Jacobs’ Attic and Living Thinkers—Harriet Jacobs’ Attic 2, two video installations connecting contemporary Black women’s education narratives to the 19th century slave narrative written by Harriet Jacobs. 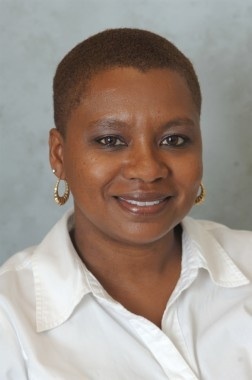 Her last documentary about post-Hurricane Katrina New Orleans titled Belly of the Basin won First Place for Documentary at the Hollywood Black Filmmakers Festival 2008 and screened at numerous festivals and universities across the country. She has received numerous grants and has presented her work nationally and internationally at festivals, conferences and universities. She teaches Documentary Production, Screenwriting and African American Cinema. She is married to history professor David A. Canton and has three children, Imani, Kefentse, and Montsho.